We store our banking information, login account, emails, contacts and even fingerprints on iPhone. When you want to discard it or sell it to others, you surely should delete all things private by factory resetting your iPhone, while with a third-party recovery tool, the deleted data can be recovered, which obviously will bring you trouble. Therefore, you must make sure that those you deleted cannot be recovered. 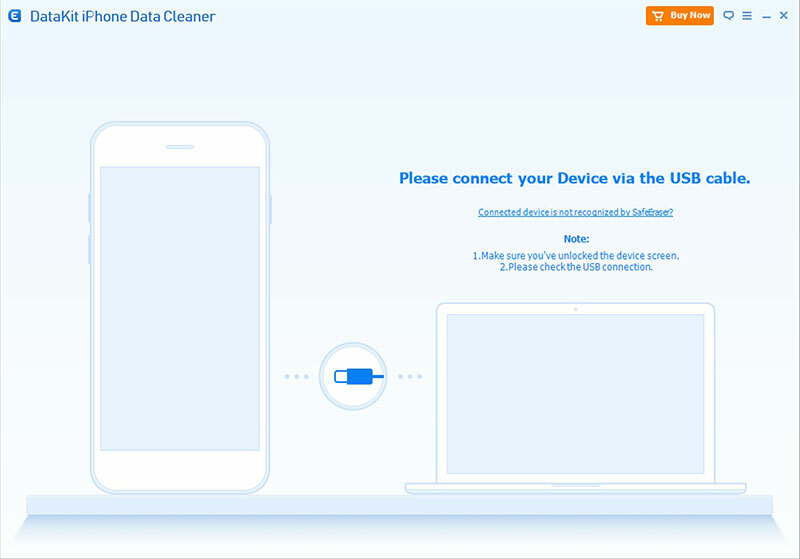 To do that, you need iPhone Data Cleaner to clear phone cache, free up storage and delete all data on your phone. And then you are free from any potential criminals getting your personal info. You can delete and remove all data on your iPhone including contacts, messages, call history, notes, photos, calendar, reminder, safari bookmark and more. One Click and your iPhone will be back to the day when you unpack the box. If you just want to delete some data types, you can select them to erase and keep the others on iPhone. Delete All App caches, Website caches, cookies with one click. Delete Large files, junk files and system generated caches. Speed Up your iPhone/iPad and make your device fast and smooth. Export Photos to Computer for storage saving or backup. Compress Photos losslessly on iPhone to spare more space on iOS Device.